Apple Senior Vice President of Design Jony Ive has joined forces with fellow industrial designer Marc Newson and U2 frontman Bono's Product Red to create several one-of-a-kind pieces for an auction to benefit The Global Fund to fight AIDS, Tuberculosis, and Malaria. 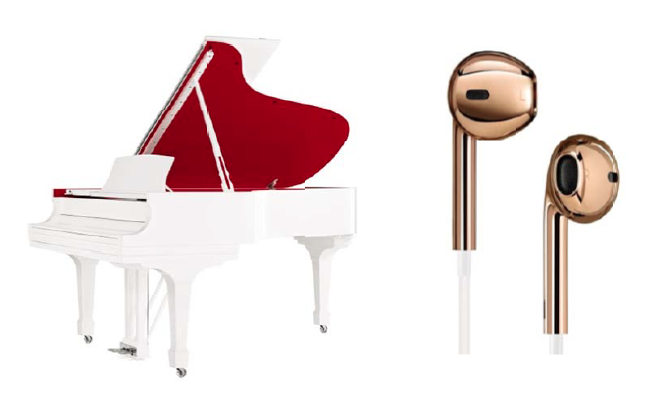 Among the more than 40 items up for bid at the event  dubbed the (RED) Auction  is a a pair of 18-karat solid rose gold Apple EarPods customized by Ive and Newson. Other notable items on the block include a custom Leica Digital Rangefinder camera designed entirely by the duo, which Sotheby's describes as "a feat of extraordinary engineering," along with a Steinway & Sons Parlor Grand Piano, a Range Rover, and a Jaeger-LeCoultre Atmos "561" clock which have all received attention from the designers. Ive and Newsom - close friends who are widely regarded as two of the best industrial designers in the world - were more than willing to lend their services to the cause. The pair are "humbled to make this contribution to such an important and worthy cause," said Ive, while Newson added that the process had been a "thrilling journey". 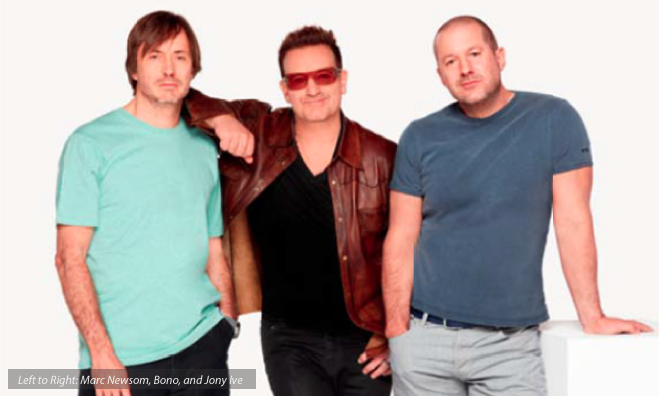 Apple and Bono have a long history of collaboration - U2 was featured in one of the most well-known commercials of the iPod + iTunes "silhouette" advertising campaign, while Apple has offered Product Red Special Edition iPods and accessories since 2006. Cupertino donates fifty percent of the profits earned from Product Red Special Edition merchandise to the charity.